I spent the holidays in Berlin, arriving on Christmas Day. One of my presents, from my friends Sabine and Jens, was a book. (I could tell by feeling through the wrapping and shaking it.) When I opened it I was pleased. 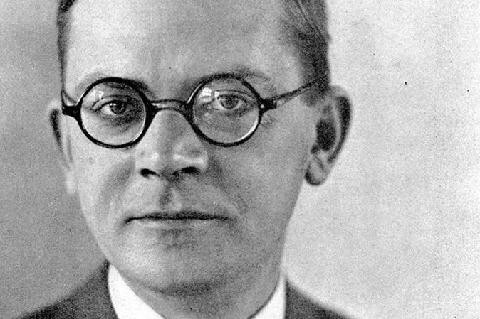 "Hans Fallada!" I said. The title was Alone in Berlin. Sabine was quick to say, "It does not mean that you are alone in Berlin. You have friends here!" I do have friends there. And I was happy to have a new Fallada novel, having been in thrall of his writing since I first read his brilliant and devastating autobiographical novel The Drinker, which was composed by Fallada while he was incarcerated in a Nazi insane asylum. It haunted my dreams. Alone in Berlin, which Fallada based on a true story, follows the Quangels, Otto and Anna, a nondescript couple in wartime Berlin. Their only son is killed in France just before that country capitulates to Hitler. Otto, a factory foreman, and Anna have both been apolitical; neither of them have even joined "the Party." They've kept to themselves. Anna's grief at the death of her only child compels Otto to do something. But what is an apolitical man to do against an all-powerful, all-controlling, all-seeing regime? Otto decides to write postcards denouncing Hitler and the Nazis and surreptitiously (he hopes) place them in public places. Surely the populace will be inspired to rise up when they find them: "German people wake up!" "Hitler's war is the worker's death!" "Hitler's regime will bring us no peace!" "Free Press! Why suffer war and death for the Hitler plutocracy?" Those quotes are from actual postcards distributed by the real-life couple, Otto and Elise Hampel, on which Fallada based his novel. In the novel Otto and Anna are in constant fear of being found out. Anyone could spot them and turn them in to the Gestapo. Whom to trust? No one. Somehow they manage to elude the authorities for two years. They feel that they'll be caught eventually; a mistake will be made. And their reward will be death. And so it came to be. 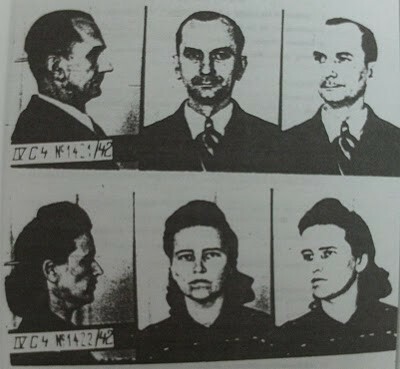 It was the same for Otto and Elise Hampel. Did their efforts make a difference? Maybe not for the general populace. Apparently if a postcard was found, it brought even the finder under suspicion. (The Gestapo was thorough.) But perhaps it did make a difference for the couple. They did something. In his afterword to the Penguin edition, University of Queensland scholar Geoff Wilkes notes: "The novel's particular achievement . . . is perhaps best characterized by a comparison with a later, purely factual and more celebrated examination of Nazi oppression: whereas Hannah Arendt's Eichmann in Jerusalem (1963) dissects and analyses 'the banality of evil', Hans Fallada's Alone in Berlin comprehends and honors the banality of good." Even Primo Levi proclaimed Alone in Berlin to be "The greatest book ever written about German resistance to the Nazis." And reading it in Berlin? It's sobering to read about citizens taken to the Gestapo headquarters for "questioning" when one is within walking distance of that Gestapo street address. 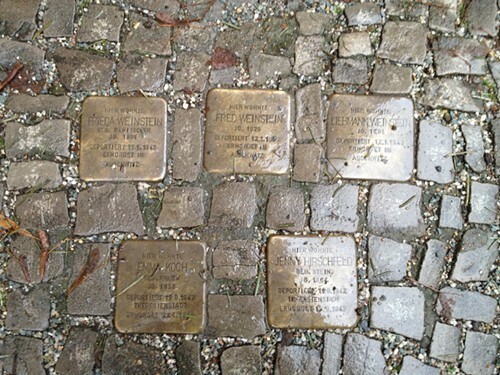 An artist has been placing Stolpersteine ("stumbling blocks") on the streets of Berlin to commemorate the victims of the Holocaust. On a stroll along Dusseldorferstrasse I happened to stumble upon some. Melville House has reissued a number of Fallada's novels. I picked up The Drinker at Book Cellar the other day, to reread. Next up on the Fallada to-read list: Wolf Among Wolves, picked up used but in fine shape at Uncharted Books. Addendum: In the U.S., Alone in Berlin is published under the title Every Man Dies Alone (Melville House).